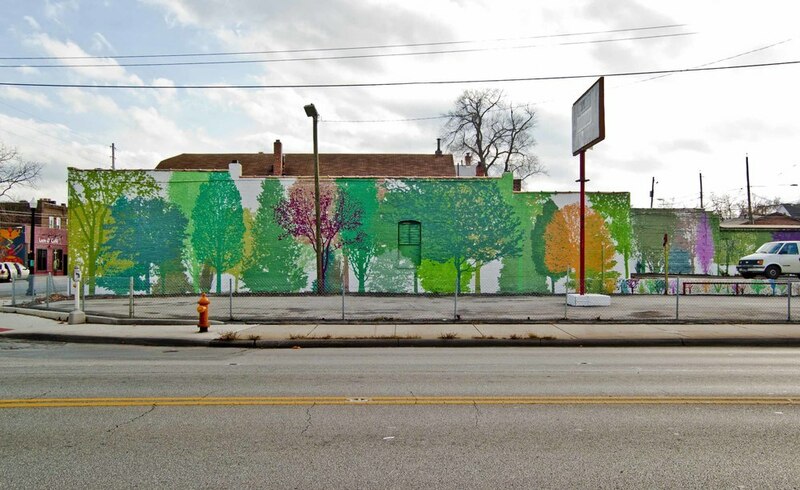 As a way to deter graffiti, the multi-disciplinary arts group, Wild Goose Creative, called for design proposals for the creation of a community mural. ALTernative’s entry won by popular vote. 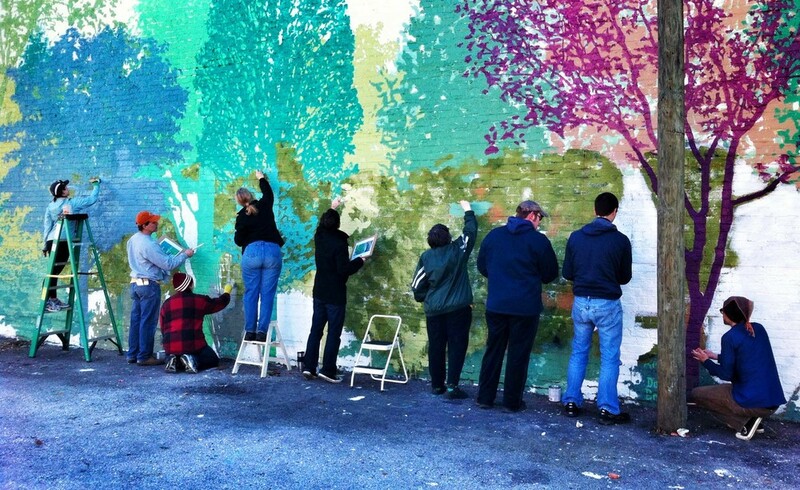 The now called SoHud Mural, completed in September 2011, has since become a symbol of the caring and creative neighborhood. 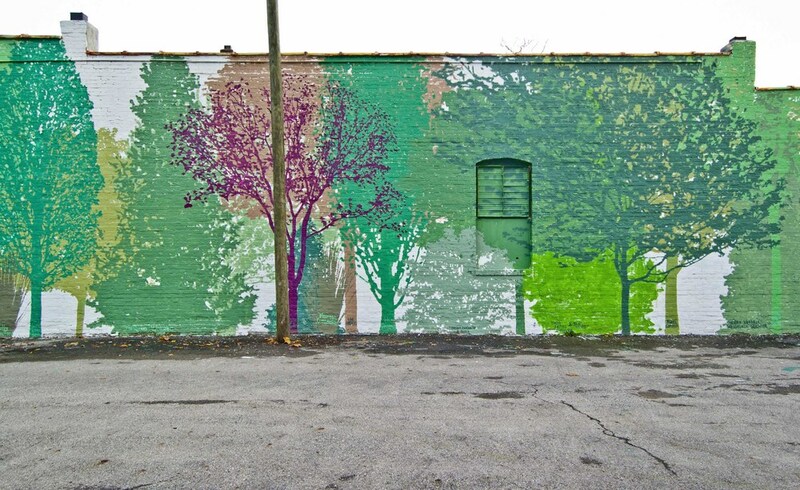 Mural artists, Jon Stommel and Travis Czekalski, painted the mural, using a night projection method. The project was made possible by a couple of grants and a fundraising campaign on Kickstarter.